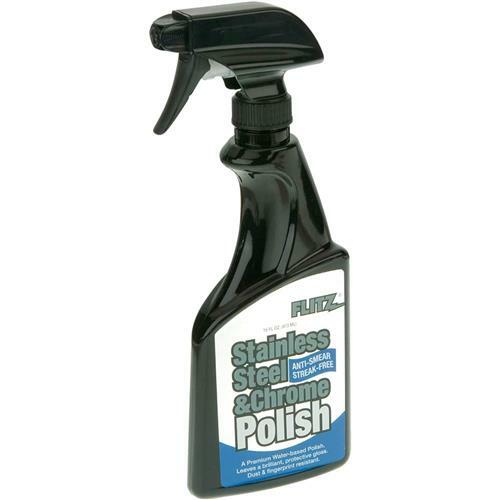 A premium water-based product that gives a Showroom Shine to brushed & polished stainless steel surfaces. Anti-smear formula. The Wall Street Journal recently gave this item their vote for the "Best Stainless Steel Polish" in 2007. This product has a pleasant odor and because it is water-based, it never leaves an oily residue. It is streak-free, as well as fingerprint, water, and dust resistant. Easy to use- just spray and wipe! 16 oz.